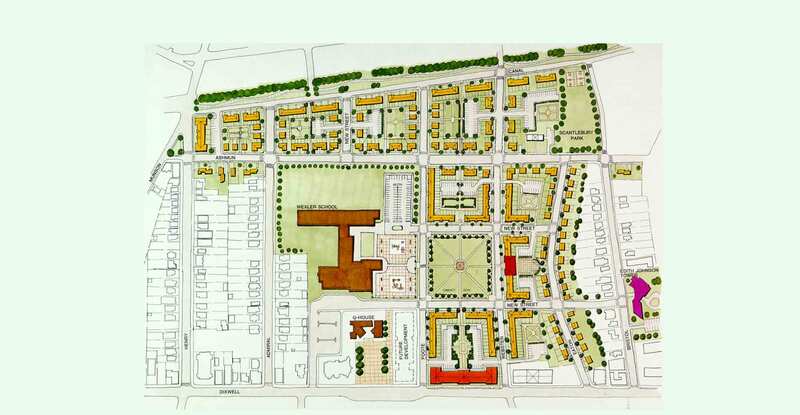 The concept originally proposed for the Elm Haven Housing Development in New Haven, Connecticut, was to completely demolish an existing complex and build new housing in its place. When federal and state funding limited the goals of the Housing Authority of New Haven, Kenneth Boroson Architects was retained to revise the original concept and to develop an alternative solution that would reduce the overall project cost. Rather than demolishing all buildings on the site, our design called for the rehabilitation and modernization of specific structures, thereby reducing project costs by millions of dollars. Additionally, our design scheme included a diversity of building types which were developed into a rational, cohesive master plan.